While growing up in Missouri, music became part of Ben early in life. As a child, he spent hours digging into his parents LP collection, sampling everything from Ravi Shankar to Leo Kottke. 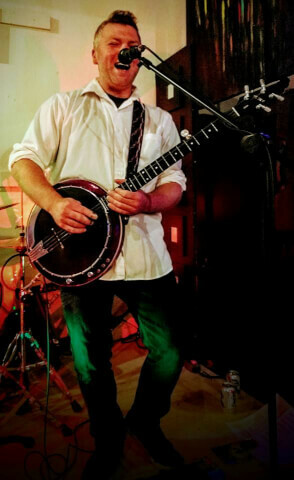 But when he heard a banjo being played for the first time at age 13, he knew the instrument was going to be part of his life forever.During high-school, he discovered the heavier side of music from artists like Nine Inch Nails and Marilyn Manson. 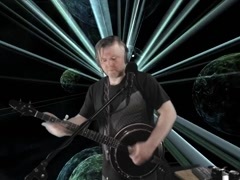 Using a custom built electric banjo, he melded his new electric style with influences from the oddballs of electric string musicians like Bela Fleck, Paul Gilbert, and especially Trey Anastasio. 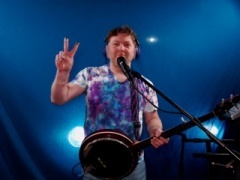 Ben continues to pioneer how an electric banjo can be played, bringing a rootsy background to the modern twist of his ever evolving style. Utilizing a Swiss army knife of effects and live electronics, Ben can create a sound that can captivate a small room or fill up the largest hall.